"ST" redirects here. For another thing abbreviated as such, see Scratch Time. To join the Scratch Team, you must be hired, as it is a paying job. In order to join the Scratch Team, you have to be 18 years old, commute to MIT Media Lab located in Cambridge, Massachusetts, USA (for some jobs), and be skilled at the part you want to work at (programming, moderating, etc.). A current list of Scratch Job openings can be found here. These people in the Lifelong Kindergarten group at the MIT Media Lab worked "in an interactive, iterative, loosely-organized style, with each team member contributing to many different parts of the project (Scratch), whether it be the online platform, site, or the program itself." These people of the Playful Invention Company  "contributed to design, development, and exploration of new directions." They also help moderate the website. These people help coordinate the Scratch online community. Also, Yasmin Kafai (Univ. of Pennsylvania) and her research group conduct research studies with Scratch. These are people who were previously part of the Scratch Team, but have retired and moved onto other projects. There have been many other people that contributed to Scratch, but have retired and have moved on. A full list can be found on the credits page. Members of the Scratch Team on the Scratch Website can be identified by the asterisk (*) next to their username. In the Scratch Forums, the words "Scratch Team" appear underneath the profile picture of what the member posted. Some Retired Scratch Team Members do not have an asterisk next to their username. The jobs page in the footer lists jobs currently available for those wanting to work on the Scratch Team. These are paid jobs, so applicants must be at least 18. The jobs on the page change over time. The page can be found here. 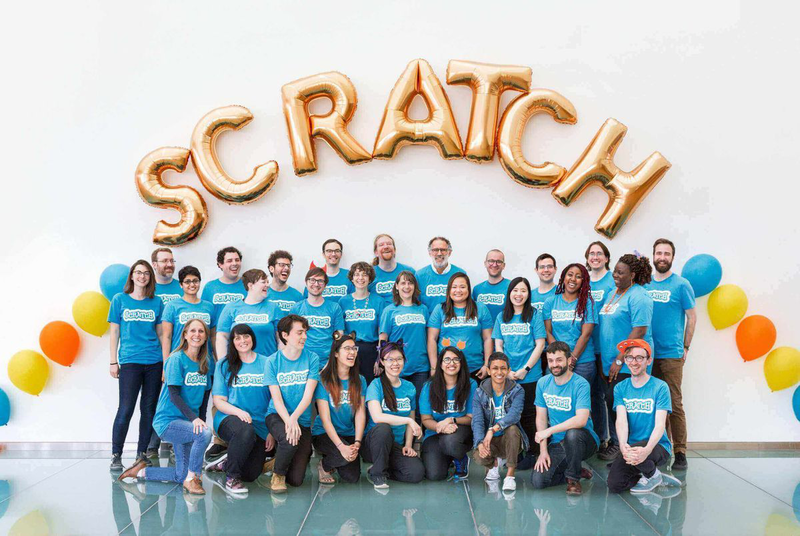 The jobs that are currently available on the Scratch Team include a Front-End Engineer, Community Manager, and Community Counselor. Two new job openings include being a Community Manager as well as a Community Counselor. A Community Manager is someone that supervises the Scratch Moderation Team and reports to other Scratch Team Members about trends in the Scratch Community. A Community Counselor is someone that responds to sensitive issues inside the Scratch Community.